Düsseldorf, May 2014 – – Toleriane Ultra is a skincare cosmetic from La Roche-Posay which provides intense soothing care to hypersensitive and allergic skin. Its packaging combines an innovative bag-in-bottle system with a special airless pump to protect this lotion, which is sensitive due to the complete absence of preservatives, from oxidation, drying out and penetration of contaminants. The bag-in-bottle system consists of a strong bottle made from a crystal clear copolyester and an inner bag of highly transparent DuPont™ Surlyn® with an additional oxygen barrier layer. This novel design is the fruit of a joint development between DuPont and Gaplast, Saulgrub/Germany, a company which has successfully specialised in plastics packaging for pharmaceuticals and cosmetic products for over forty years. Bag-in-bottle systems, developed in the 1990s, have long proved their worth when it comes to reliable storage of highly sensitive ingredients. The innovation in the version now used by La Roche-Posay is the transparency of all the materials used. This means the contents can be checked at any time, so keeping a consumer fully informed about the state and amount of the product remaining in the container. In addition, this innovative type of packaging allows the bag to be almost completely emptied, so avoiding any unwanted product wastage while the external shape of the bottle remains unchanged. Bag-in-bottle systems are produced by coextrusion blow moulding. 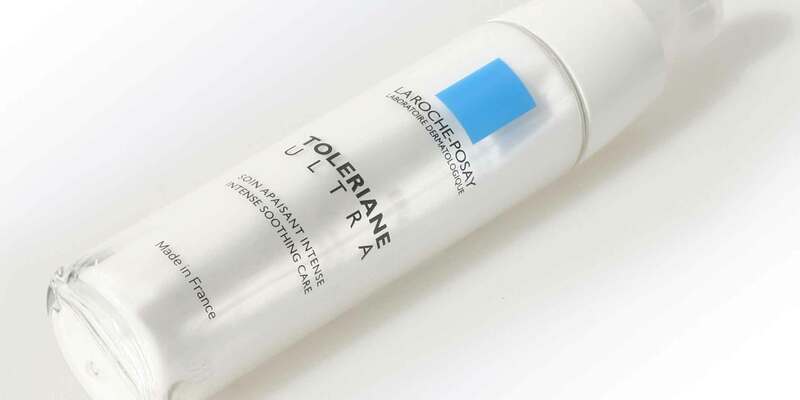 In the case of the packaging for Toleriane Ultra, Gaplast firstly extrudes a four-layer tube with a polyester outer layer to provide rigidity and a highly flexible, chemical resistant inner layer with a Surlyn®/EVOH/Surlyn® structure. While still hot, the tube is directly transferred into a mould and pressed against the walls of mould cavity with compressed air. This creates the desired container shape and, at the same time, the bottom of the container is closed. Using deliberately created holes in the container bottom, Gaplast then blows compressed air between the outer container wall and the inner bag. Because the level of adhesion between the selected grade of polyester and Surlyn® is very low, the two components can be particularly easily and gently separated. Gaplast, an internationally active family business with 150 employees, is a leading innovator in the development and production of polymer systems for pharmaceuticals, medical technology and cosmetics. DuPont Packaging & Industrial Polymers manufactures an extensive mix of adhesive, barrier, peelable lidding and sealant resins and provides a globally networked development team to work with customers on packaging programs that help protect the product, environment; improve shelf appeal, convenience; and reduce cost in the food, cosmetics, medical products and other consumer goods and industrial packaging industries. DuPont (NYSE: DD) has been bringing world-class science and engineering to the global marketplace in the form of innovative products, materials, and services since 1802. The company believes that by collaborating with customers, governments, NGOs, and thought leaders we can help find solutions to such global challenges as providing enough healthy food for people everywhere, decreasing dependence on fossil fuels, and protecting life and the environment. For additional information about DuPont and its commitment to inclusive innovation, please visit (www.dupont.com). The DuPont Oval, DuPont™ and all products denoted with ® are registered trademarks or trademarks of E. I. du Pont de Nemours and Company or its affiliates. DuPont de Nemours International Sarl.